ARTH121 students ventured beyond the classroom walls to visit a special event hosted at the Norfolk Botanical Garden. 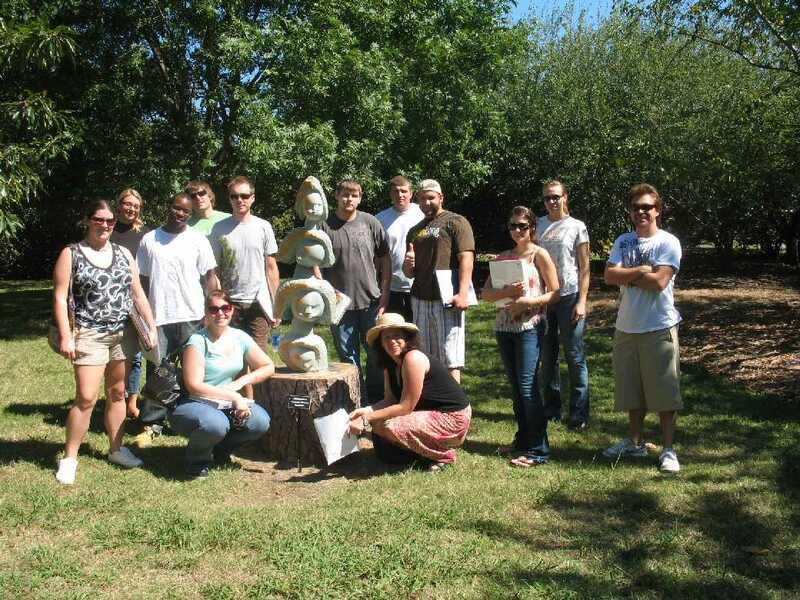 Students conducted on-site research of the many Shona stone sculptures on display. Mutambo means “celebration”. Students explored the garden exhibition of work from Zimbabwe. A satellite display is on exhibit this fall at the VBHEC. This entry was posted on October 6, 2008 at 1:04 am and is filed under Uncategorized. You can follow any responses to this entry through the RSS 2.0 feed. You can leave a response, or trackback from your own site.